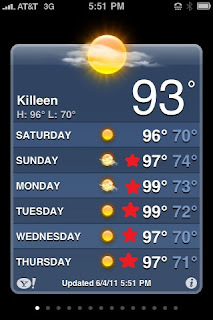 Here we go, it's only the beginning of June and we're beyond the beginning of summer in Central Texas. It's also beyond monthly electric bills under $100 dollars. And as the first week of June wraps up it looks like it's getting even hotter. Grandma J has no doubts that the triple digit days are not far away. 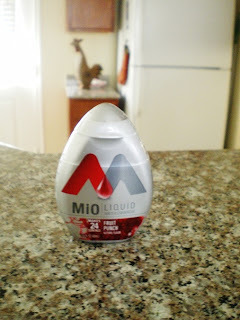 It's MiO, and she pronounces it my.o. 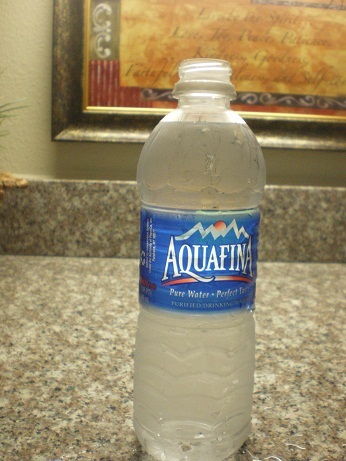 It's about the coolest way to flavor your water without any calories or using messy powders. It comes in this cute little container with a pop open type top. It dispenses in measured squirts into your water. Just a squirt or two and that's it! 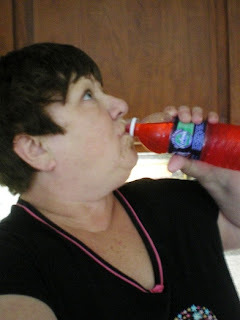 Watching the artificial flavoring and color float through the water gives Grandma J flashbacks to her lava lamp days. But really, Grandma J loves MiO, and it comes in a plethora of flavors including sweet tea, and maybe peach tea. Have you tried MiO? How are you staying cool in this premature heat wave? Come visit me...we got up to 70degrees today and maybe again tomorrow...woo-hoo!!! It P.O.U.R.E.D down today...this morning it had already hit .68 inches here....I would bottle it up and send it to you if I could. I am so sick of rain...I'd rather live in Seattle at this rate...at least the cost of living is lower there! Please send me your 97 degrees tomorrow...I am tired of riding to work in rain gear or in 42 degree cold. I need a real summer...I don't think our weather changed at all from winter last year! It's going on the grocery list pronto. Just keep your drapes drawn and drink lots of water...is that MyO really good???? Ugh! I'm not ready for the heat of summer either. I heard the South has been hit hard this week. Take care and stay cool. Oh good grief! This heat is ridiculous! It's been getting over 100 down here for the past several days, too. 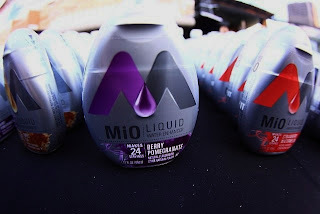 I am very intrigued by the water fixer uper you mentioned and am adding MiO to my grocery list immediately. Tired of Crystal Light. Please send some of your heat this direction. It has done nothing but rain for too long! When M was here the other day she had to use my umbrella to get her rain coat out of the truck. I just want to work in the yard, so I need your heat to dry up the mud. I can't remember ever living in sweats this time of year. Up here in VA, we ave already had temps in the triples!It has been unmerciful, and terribly dry, and I wonder what July and August are bringing. The crops are in terrible shape. 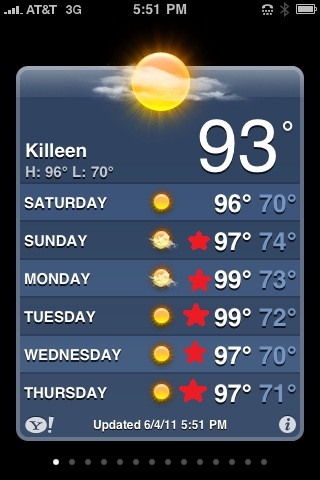 :( I'll stay in all summer, I guess. I haven't ever seen MYO--but I'm going looking. 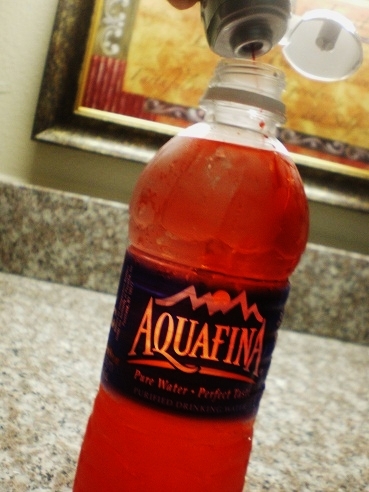 Sometimes, I'll just splash a few drops of grape (or whatever I have) juice into my water. Gives it just enough taste and color to fool me into thinking it's not just water--and I need to drink more water. I also fill my daily glasses of water almost to the top, and splash a tiny bit of juice into it--always. I've never liked the taste of water, especially in the morning. (I know-I'm stupid.) So, this does help me drink much more. That last photo is so hot! I'm touching myself right now. m.
We drink a lot of water at our house. 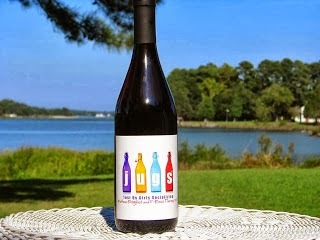 And wine!